Assmann Corporation is a manufacturer of rotationally molded tanks, ranging from 40 to 12,000 gallons, engineered and processed for the most challenging chemical handling and storage applications. 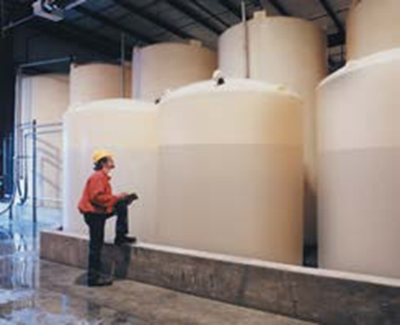 Their commitment is to provide a superior tank for the harshest chemical service. Experienced tank users receiving an Assmann unit for the first time will remark favorably on how it compares with tanks already in their systems. Assmann begins by selecting virgin resins with no re-grind for each application and manufacturing plastic tanks in one-piece construction via rotational molding. However the key to Assmann’s success is in the processing (equipment, tooling and procedures) that determine the quality of their tanks. Assmann tanks are designed and molded with a uniform wall thickness throughout the tank that allows the entire surface to cure evenly. Their tanks are then air cooled for uniform resin cure and improved shrinkage parameters. Assmann’s high-density crosslink resin tanks are certified by NSF for chemical storage, while our linear polyethylene tanks are certified to NSF/ANSI Standard 61: Drinking Water System Components — Health Effects. The Certification is for multiple potable water contact materials up to 140°F. Their quality management system is also ISO 9001:2008 Certified, meaning their tanks are designed and manufactured under strict quality control standards. 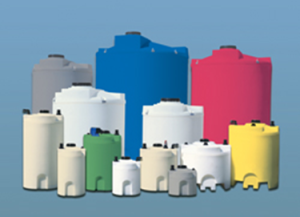 In addition to offering vertical storage tanks from 40 gallons to 12,000 gallons, Assmann also offers Double Wall tanks from 20 gallons to 8550 gallons, conical bottom tanks, horizontal tanks chemical feed stations and open top tanks. 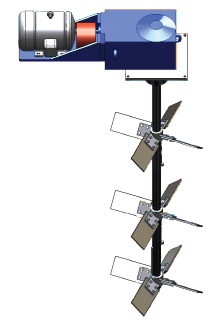 They also offer a full line of fittings and accessories including heat trace and seismic tie downs. Please see document below for details on all tank and accessory offerings: Read More..
Our industry-specific application expertise includes chemical mixers, ethanol mixers, food and pharmaceutical mixers, as well as wastewater treatment agitators. Read More..
From concept to completion, LFM has the people to get the job done. Whether you require plan take-offs, CAD details or submittals; LFM can help.